NPECA members are professional contractors who are dedicated to improving the trade standards and the construction experience for our customers. Click here if you want to know more about why you should hire an NPECA member? 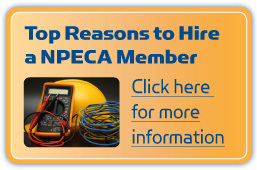 Why Hire an NPECA Member? There are many good reasons for Niagara Region’s governments, developers, health care systems, school boards, architects, engineers and industries to invite our members to participate in their next project. NPECA members are industry professionals who belong to a network of contractors with broad experience, a positive reputation in, and long-term ties to the community. We are able to provide a skilled and licensed work force to meet the needs of any project. As most members are active participants in WSIB Safety Groups, they follow safety policies that meet or exceed customer standards. Members are dedicated to providing a safety conscience workforce and a safe job site. As part of our customer first focus, our members will willingly discuss the requirements of any project to satisfy current and future needs. 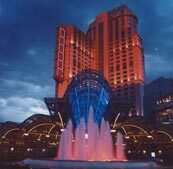 NPECA contractors’ partnership with the IBEW Local 303 enables them to offer a variety of options resulting in cost-effective solutions for the customer. As an added bonus, this working partnership means that members are primarily local residents, who understand and contribute to the local economy.